have your details on any clothing! Welcome Slimming World Consultants to your very own page! 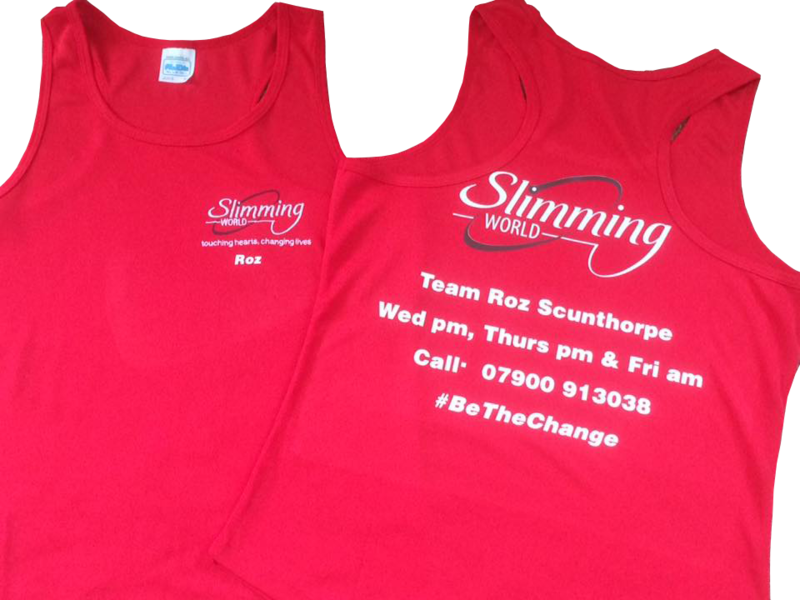 All Items of clothing include the Slimming World logo on the front. You can also add the logo and /or your group details to the back of any item. Have a look at our catalogue for ideas or contact us for a chat! Love your new gear? Send us a photo for our website!